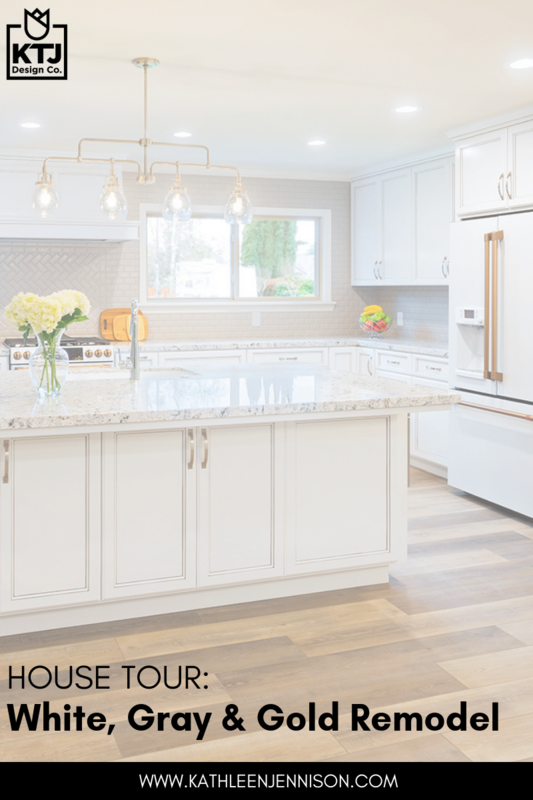 House Tour: White, Gray & Gold Remodel — KTJ Design Co.
We meet this Mother and Daughter duo when they were remodeling Daughter’s new home. They had a contractor and the home had been gutted down to the studs, but the draftsman the contractor had used didn’t quite bring the space plan to their satisfaction. The master bathroom didn’t have the best layout, and they had wanted a large island in the kitchen, but weren’t sure how to lay it out. Plus they had frequented all the local design showrooms and saw lots of pretty things but couldn’t decide on anything. Plus, Mother was frantic because they needed the space plan flushed out and finishes selected quickly because Daughter was expecting a baby in the next couple of months. No problem – we scheduled a Remodel Clarity Session and meet them at the new home. Since they already had floor plans drawn, we could jump right into “fixing” the plan. After touring the home and looking at the proposed floor plan, I knew in seconds what needed to change. Sandra and I looked at each other with knowing eyes, laid our trace paper over the plans, and quickly drew out the new schematic. It took us about 15 minutes as Sandra tackled the kitchen and I tackled the master bedroom and bathroom. In the meantime, I told Mother and Daughter to look through some catalogs we had brought and pages we had flagged (we had them create a Pinterest board ahead of time so we would know what they liked). After much conversation and design brain download with our new clients, they hired us to continue with the Design Concept Phase. This is where we take our schematic drawings, put them into CAD (Computer Aided Drafting) and make selections of every item and element that goes into a new remodel. This generally takes 3 weeks, but with their tight deadline, we agreed to get it back to them in a week. 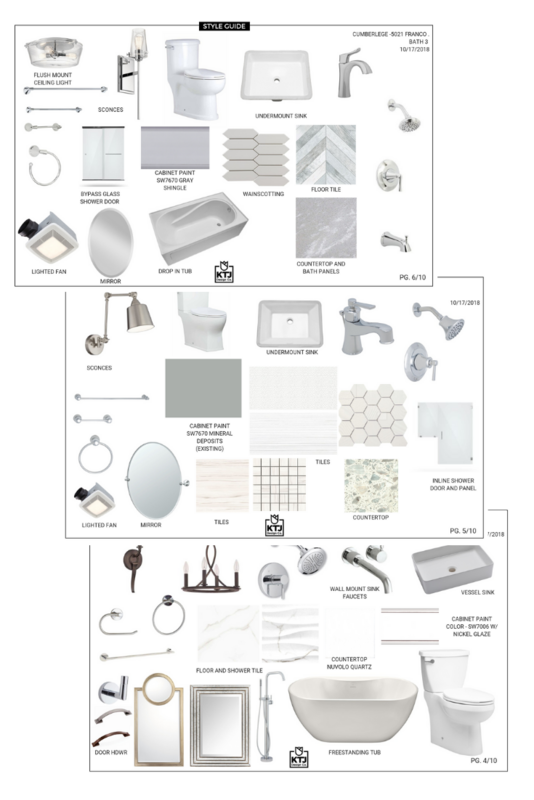 It was tough, but working in tandem we were able to present to them the Style Guides for each room and common area. They loved just about everything. 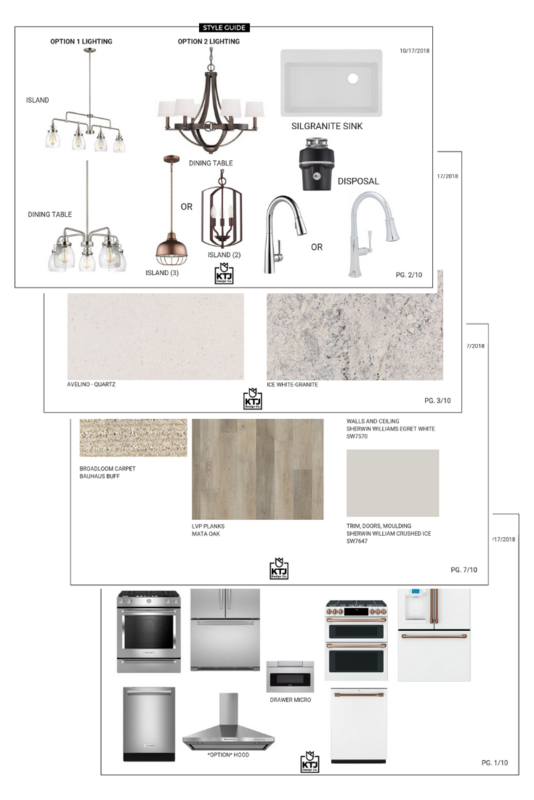 Next, a few field trips to the flooring vendor, slab vendor, and plumbing and lighting showroom were in order to finalize all material and finish selections. We also create a set of construction documents with annotated floor plans, elevations, and schedules. With such detailed documents, all the tradesmen knew what goes where and how it was supposed to look. 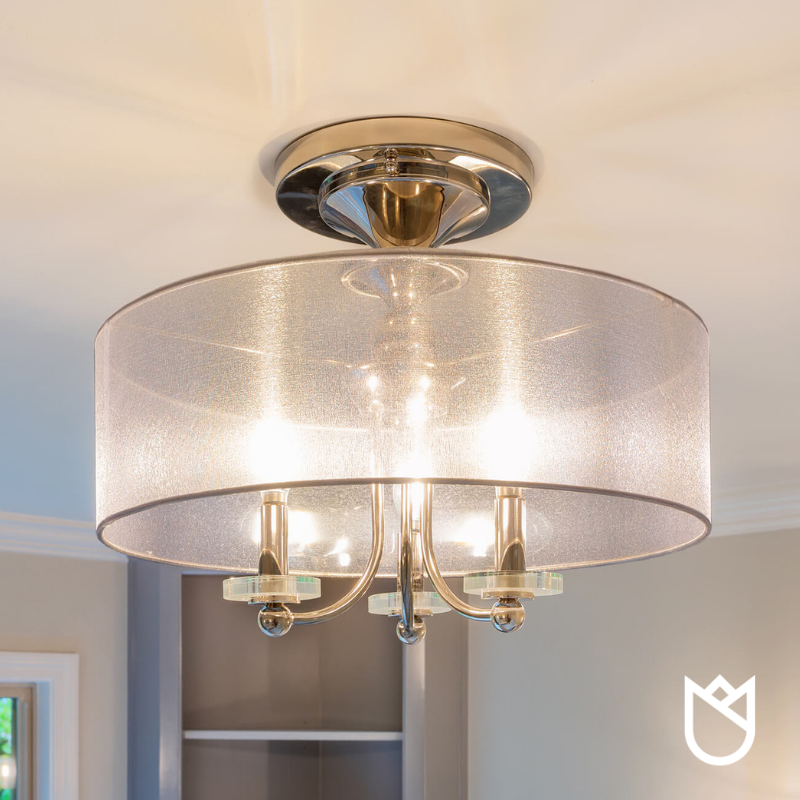 We worked closely with the homeowner and contractor, answering questions and making site visits to ensure our design vision was followed and that, when necessary, modifications were approved. 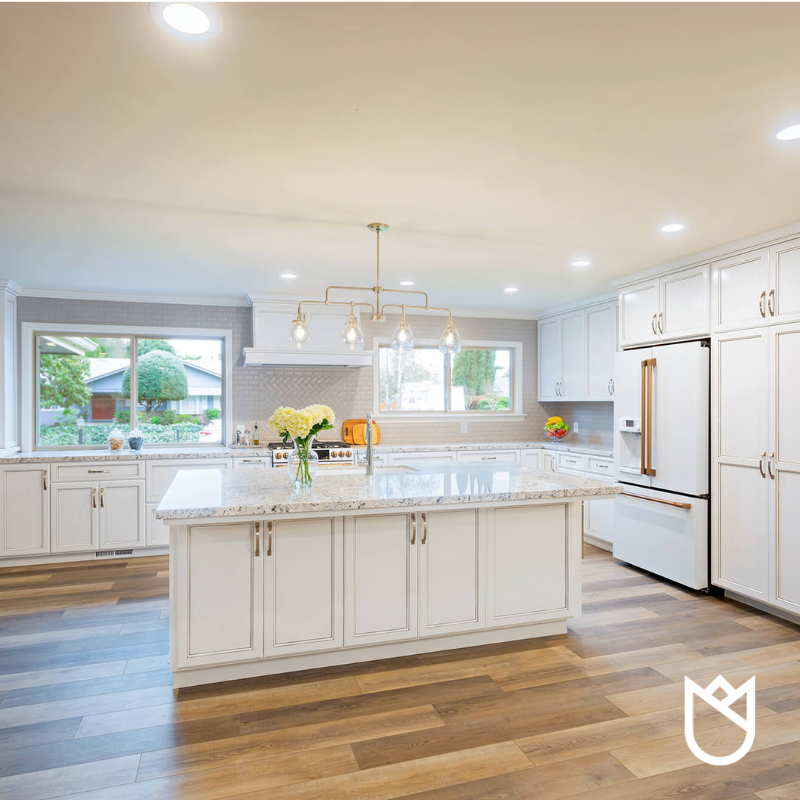 It was a dream to work with this homeowner and Schatz Construction. Ryan Schatz is a talented contractor. He respected our work and our opinions and never tried to second guess our selections. He knew it had been a labor of love by the homeowner to make these selections. We watched as he expertly orchestrated the construction and supervision of the tradesmen. His job site was always neat and tidy. His attention to detail brought much admiration from me. I can tell it is important to him that his clients have the best possible home he can give them. If you are curious about our design process go here to listen to me explain how it works. Kathleen Jennison April 16, 2019 Kathleen Jennison Inc., dba KTJ Design Co.